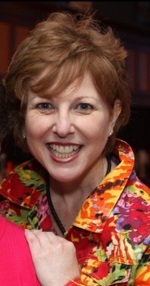 Susan Kaplan Cohen, 56, of Atlanta, Georgia, passed away on 18 March 2019. The Funeral will be held at THE TEMPLE, 1589 Peachtree St NW, Atlanta, GA 30309 on Thursday, 21 March 2019 at 11:00 a.m.
Beloved wife of Robert Cohen. Cherished daughter of Lenore Kaplan and the late Gilbert Kaplan. Sister of Jeffrey (Helayne) Kaplan, Marlene (Albert) Negrin, and Edward (Debbie) Kaplan. Loving aunt of Carly, Marissa and Jeremy Kaplan, Sarah and David Negrin, and Megan and Evan Kirkland.